The Peninsular war is in full swing. Delphine Dalgleish is a Paris-bred Bonapartist who cares as deeply for the honour of France as she does for her island home on tropical Mauritius. Sir Gideon Landor is a naval prisoner of war, who has every reason to consider her the enemy, especially when he commandeers her family’s yacht to escape back to England. They expect never to meet again, but Gideon’s secret mission to decipher Napoleon’s military Grand Code forces them into a shock encounter on a Paris street. In the seductively peaceful English countryside, they must recognise that they are both spies – on opposing sides of the war that Napoleon has unleashed on Europe. As Sir Arthur Wellesley’s forces pursue the French across the Peninsula, Delphine and Gideon are trapped in a personal feud as complex and dangerous as a military campaign. 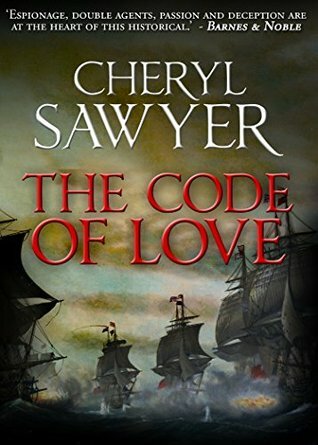 The Code of Love was a story that snuck up on me. The first few chapters I wasn't sure how I felt about it, but then the intrigue and the thrust and parry between the two leads really took off, and suddenly I was hooked. I found the characters well-written and likeable, the prose eminently readable, and the plot well-paced and exciting. Recommended to lovers of historical fiction who want a story packed with both romance and action.